When Boston College (1-1), takes the field against No. 9 USC (2-0) this weekend, pay special attention to the team’s uniform. The Eagles will wear a red bandanna trimmed uniform to honor former lacrosse player Welles Crowther, who died after saving over a dozen lives from the south World Trade Center tower during the Sept. 11 attacks. Crowther (BC ’99) was an equities trader and volunteer firefighter at the time who was known for his trademark red bandanna. The team will trim its shoes, socks, gloves and helmets in red bandanna design to honor Crowther. 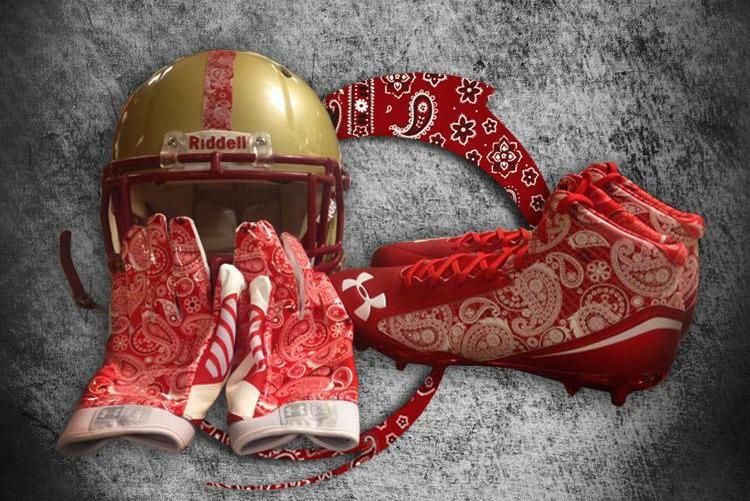 The coaching staff will also pay tribute by wearing red bandanna inspired clothing. The school will distribute 6,000 red bandanas for the students to wear during the game. BC lost 22 alumni that day. Crowther’s story is truly remarkable and if you want to learn more, check out ESPN’s “Man in the Red Bandana” or you can run in the annual Welles Remy Crowther 5K Red Bandanna Run.